Earlier, I wrote an article about – how to block a website on Ubuntu and now I feel that I should also share some tips about unblocking a website on Ubuntu (or other GNU/Linux based operating system such as Linux Mint), just for the sake of free speech and liberty. It will also help you in bypassing Internet censorship etc if there are any, based on your geographical location. Although the post has been written for Ubuntu users but some the tips may work well on other operating system too. I’ve tested these techniques on Ubuntu 10.04/12.04 LTS (Long Term Support) but it should work well with older and newer versions such as 14.04 LTS. OpenDNS can also be used in blocking a website but it is good for unblocking a website if your ISP is blocking access to your favorite sites. OpenDNS servers are far better DNS servers than your ISP DNS servers. They provide 100% uptime with extra security, so it will also boost your web surfing pleasure. But in some cases the latency may be high as compared to your ISP DNS server, so first test it well before completely switching to it. Go to Network settings – > Configure -> IPv4 Settings -> Automatic DHCP Address Only and enter these IP address in Name servers field, separated by comma. Proxy surfing is one of the most popular technique to unblock the websites which are blocked in a particular country. The website are banned based on the I.P address so the proxy surfing can easily bypass the IP filtering mechanism as it acts on the behalf of client (eg. Your Computer). There are many ways to use a proxy server – from Network settings (system level proxy) or browser settings (if you want to use proxy server for specific browser) but first you need access to proxy server. There are free proxy servers available that you can use but I won’t recommend that for anything related to sensitive data (e.g your email, password etc). Most of such free options are not reliable and secure enough in most cases. Update! ZenMate is offering quite reliable service for free and you can install their extension (available for Chrome, Firefox etc). Check out ZenMate to find out more. Tor is a free software and open network, the best way to access the Internet using virtual tunnel and thus form an anonymous network that will allow you to surf anonymously over the web – without any restriction. The Tor program isn’t only good for unblocking sites but also for privacy and security reasons, it will also prevent you from Internet Surveillance commonly i.e traffic analysis. It is available for all major platform. This method is very simple and works if the site is blocked by counter method or if you know the IP address of the website (you want to unblock). Simply open /etc/hosts file and remove the entry for your favorite websites and flush the DNS cache to propagate the changes. In other case if you know the IP address of target website, which blocked using some other mechanism such as ISP level or something else then add an entry (/etc/hosts) for that website along with the correct IP address. The second method seems to be logically correct – if a domain name is resolved at host level then the lookup process is terminated, so host level dns entry should bypass other DNS filtering e.g at ISP level. Therefore it is expected to work (but I have not tested yet, I’ll let you know if it works), give it a try it may work. But it may not work if the website’s IP address changes frequently – because in that case it would be difficult to update the etc/hosts file manually to reflect the new value of IP address. 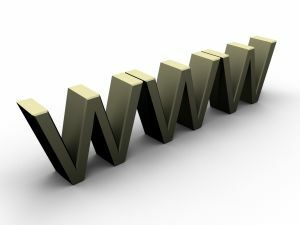 If you want to explore web without any restrictions then using VPN would be more easier and simple way to achieve that. Your Internet speed should be decent, plus you should be willing to spend some money on a decent VPN service. If you need any help in setting up private internet access on Ubuntu, you should read this article on setting up VPN in Ubuntu. Update! – Added 4th point (VPN section) above.